Ravine leans in close and you recoil slightly. "I... I have a... Curse. There was a prophesy when I was born, about how I would be snatched from my den and grow in a different pack, not knowing my parents." Fear fills his yellow eyes. "And it also said I would find a way to stop the earthquake. But there's a line... 'A wolf with a nose of red and brown, shall light the spark and bring you down.'" Gasp, and jut stare into his eyes. "And you need to help me, because I think the wolf is Agni." Just then, there's a rustle in the bushes about the entrance to the camp. The patrols come in, holding three whimpering pups. Your heart soars as they put them down and they race to Ashstorm. Faolan and Peaktail break away from the group, and head towards Ravine and you. Stay with Peaktail and Silverclaw. You decide to stay with Silverclaw and Peaktail. "Where were the pups?" You ask Peaktail. He shrugs. "I dunno. 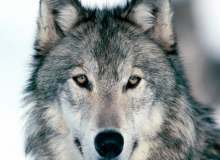 I think Lobo Biryuk and Blaez found them near the border between us and the Oakpaw pack." He sits down and flicks his tail towards you waiting for a reaction. "The Oakpaw pack did it!" You decide to go with Ravine and Faolan. You lick Silverclaw's cheek, and turn to Faolans grey tail and follow them into the den. Faolan settles down beside you and grooms your coat softly, while Ravine puts his chin on his paws and watches you. Why can't Ravine groom me? "What happened after I blacked out?" You ask. Ravine looks away, but Faolan responds enthusiastically. "Well, I saw you because I was out hunting, and I heard the bear from a long way off. So I raced towards you, grabbed you, and pulled you back before the bear hit you. Then Cuan helped hall you back to camp." His tongue is warm as he starts grooming you again. Ignore, and get to the point. Let a little akward moment pass, then get to the point. "What happened after you were taken?" You ask finally. He thinks for a moment. "I was found in the woods by the pack, and taken in. But Ashstorm was talking about the prophesy, and she said it was me. So then I knew. Maybe that's why my mother abandoned me..."
You hear a rustling in the bushes behind you, and Agni noses in right near your face. He keeps one eye on you as he speaks. "What are you doing?" His anger, you realise, is directed at Ravine. Move between Ravine and Agni. Breath in his scent, then skirt away back to Ravine. You move between Ravine and Agni. Agni shoots you an angry look, then a guilty expression crosses his face, and he puts his chin on your shoulder and curls his body around you. You freeze, but then Ravine growls. Move away from Agni and towards Ravine. Then a dull howl sounds off in the distance. All three of you immediately glance into the star-studded sky. Then another answering howl from behind the camp. Then a third from the east. Wolves are surrounding your camp! Mist bounds up on the rock, and calls the pack with a bark, and all the hunters rush in. "I believe we are under attack!" You realise that Faolan is missing!!! What do you do? Whoever you licked nuzzled your neck softly. If you licked Peaktail, Agni looked away sourly. "I'll be back once I make sure Ravine is safe, and we find Faolan. I'll see you again, promise." They all embrace you, then you run after Ravine. I want to stay with Agni! I want to stay with Peaktail! I want to find Faolan! I want to stay with Silverclaw! So, it gets complex from here. You can take the quiz: Wolf Role Play part 5: Pinewood, where you stay with Agni/Peaktail/Silverclaw. Or Wolf Role Play part 5: Oakpaw, where you convince Ravine to help you find Faolan, OR Wolf Role Play part 5: Mountainflight, where you go on the run with Ravine in the mountains, and wait. Your choice! Ok, bye! Keep an eye out for part 5. HURRY UP AND MAKE IT! FAOLAN NEEDS ME! Poor Ravine. Imma go with him.